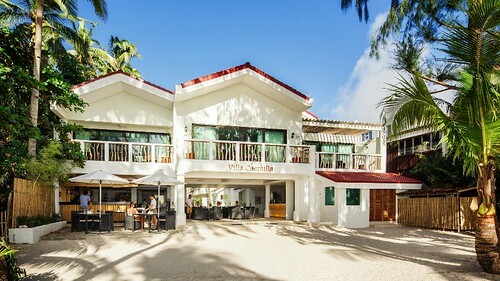 Villa Caemilla Beach Boutique Hotel was excited and honoured to be awarded yet another prestigious accolade by the internationally respected World Luxury Hotel Awards. Heralded for the second year in a row as the number one ‘Luxury New Hotel’, the picture perfect beachside hotel gives Conde NastTraveler’s ‘Most Beautiful Island in the World’ yet another top title to be proud of! The recent award is certainly not Villa Caemilla’s first – shortly after opening, in 2015 the hotel fought off some of the best establishments on the planet and won their first prestigious accolade at the Boutique Hotel Awards, for the much-coveted ‘Best Newcomer’ award. Soon after, they took top spot at the World Luxury Hotel Awards, winning ‘New Luxury Hotel’ and ‘Hotel of the Year’ awards. Earlier this year the hotel got listed as one of the World’s Best Bars and won “Best Boutique Hotel of Year 2016” with the ‘Luxury Travel Guide’ awards. The globally recognized World Luxury Hotel Awards took place on 29 October, 2016. Well known in the industry for giving recognition to top hotels for exceptional service and world-class facilities, a panel of hospitality professionals chooses nominees, and a wider audience votes for the award winners. Villa Caemilla was delighted to have been voted into the top spot for the second time in a row! 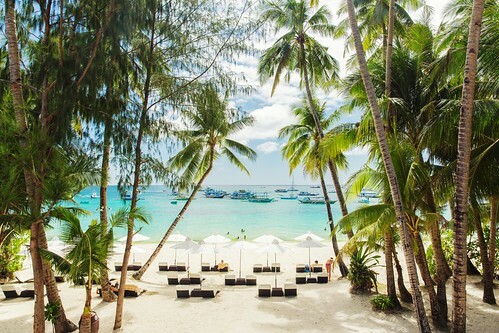 The tropical island of Boracay, Philippines, is famous for its stunning four-kilometre stretch of powder-soft sand that is White Beach. The island (one of 7,641 in the country) has been recognized as the most beautiful island in the world by global media. 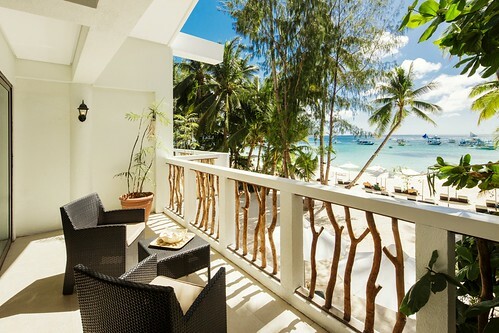 One of the few boutique hotels on Boracay Island, Villa Caemilla is located on the gorgeous beachfront of tranquil Station 3. 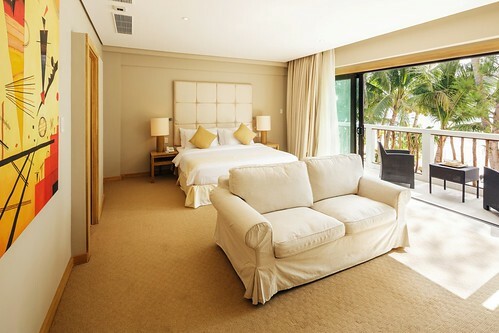 Surrounded by white sand, palm trees and the beautiful azure ocean, the views from the hotel are breath taking. Stylish yet intimate, the hotel boasts 39 luxury rooms and a bar/restaurant that is a gastronome’s delight –listen to mellow live music while sipping on Happy Hour cocktails, or relax on the ergonomic beach loungers. The highly trained team providesa world-class service and you can enjoy a global culinary experience with a delightful Filipino twist. Guests enjoy myriad activities like boat trips, kite surfing and snorkelling, and right on the doorstep of Villa Caemilla is some of the best diving in the world! All this combinedwith the comfort of the hotel makes Villa Caemilla the perfect place for a life-changing tropical holiday.